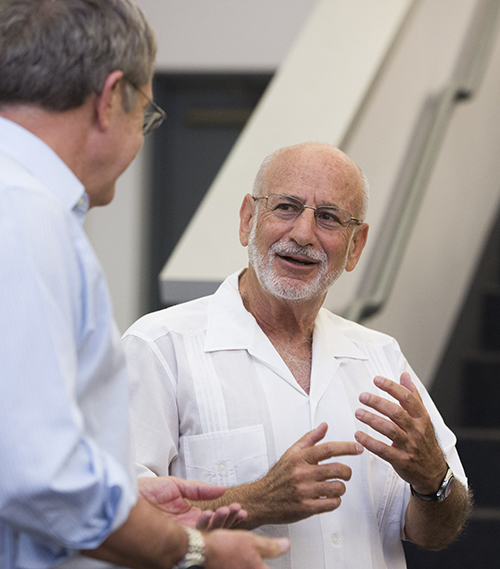 Having authored more than 200 books and articles on international relations, Richard Feinberg is a wealth of knowledge to the countless students he has taught at the UC San Diego School of Global Policy and Strategy (GPS). After graduating from Brown University, Feinberg joined the Peace Corps and travelled extensively throughout South America during an era of dramatic social upheaval. He witnessed first-hand the rise and fall of Latin American political movements and governments. Entangled in this heightened political climate, Feinberg became intensely interested in the role of the social sciences in public policy, a transformative moment that ultimately changed his career path from studying law to instead pursuing his graduate studies in international economics and, eventually, practicing the arts of diplomacy. During his family leave from the Peace Corps he returned to the states where he found that the U.S. media was offering a vision of Chile that was far different from what he had been experiencing on the ground. He was motivated to write and publish “The Triumph of Allende” at the age of 25, and this acclaimed political analysis – “some might say historical fiction,” in Feinberg’s own wry humor – is his interpretation of Chile’s legal revolution. And it is not your average 31-year-old, who by now is serving in the administration of President Jimmy Carter, that gets asked by the U.S. State Department to inform authoritarian dictator Anastasio Samoza Debayle that the U.S. had lost faith in his ability to maintain stability. Sadly, the diplomatic efforts to avert a civil war ultimately collapsed. Yet Feinberg remains fascinated by Nicaragua, and is deeply saddened to see that, once again, that beloved nation is tottering on the verge of mass violence. Well after his seminal times in Chile and Nicaragua, as a senior policy maker Feinberg served as the principal architect of the 1994 Miami Summit of the Americas for the Clinton Administration. Smiling as he reminisces, Feinberg worked to set the inter-American agenda for a generation while working at the National Security Council in the White House. Months later, the Clinton Administration summoned and hosted the first Summit of Americas, which ever since have rotated among countries every three years. 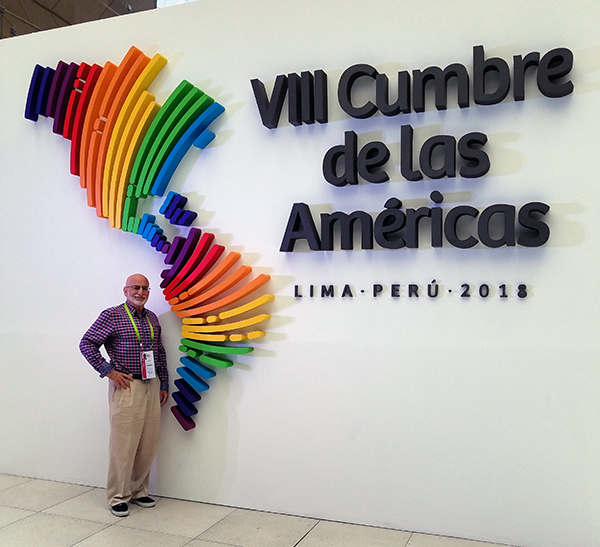 Attending all but one and derived from his decades of participation and analysis, Feinberg offered some words of wisdom and warning from this year’s 2018 summit in Lima, Peru. Over the years, Feinberg has seen many students follow his example, as diplomats, policy advisors, corporate consultants, NGO activists and authors. 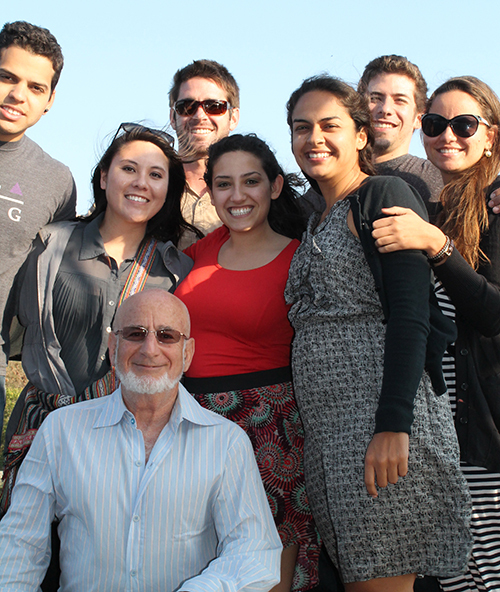 In his four decades of engagement with U.S. foreign policy, Feinberg cites seeing his students moving forward in their lives and careers as among the most rewarding aspects of his life experience. “I was thrilled to hear from alumna Elizabeth Phu ’00, that while working at the Office of the Secretary of Defense, every time she wrote a memo to the Secretary, she thanked me for teaching her the essential skills of writing a concise, direct policy memo,” Feinberg shared. While Latin America remains a focal point of his research, today much of his current work centers on Cuba. This fall, Feinberg will teach a version of his popular GPS course, Cuba: Revolution and Reform, at the undergraduate level for the first time. Feinberg argues that while Cuba today has achieved certain social goals that the U.S. has not, it has come at a price – from low productivity to consumer deprivation in an authoritative one-party state. Feinberg hopes the course will be an opportunity for students to understand what utopian thinkers imagined in the mid-20th century. A course where students can be inspired by the rich culture and social goals of Cuba. A strong advocate of the power of social media, Feinberg is active on various media platforms, sharing research, publications and his thoughts on current events. And all of his work at GPS and at the Brookings Institution, where he serves as a non-resident senior fellow, means that he has a lot to share in real-time, as one of Latin America’s premier thought influencers. We know that information technology can be an immensely powerful force for empowering populations, including formerly excluded groups, by increasing access to information and creating channels of communication. But it’s not just about the technology noted Feinberg. Be sure to follow him on twitter @rfeinberg2012!